Couple of news sources are expecting Chinese phone maker Xiaomi to launch a new smartphone during its event scheduled in China. The company has, in fact, itself tipped that a waterproof smartphone might be on its way for the event on June 10. The invitation cards, which the Chinese smartphone brand has sent to different people, for the event feature a water theme–these graphics give birth to speculations about the above said water-repellent handset. Xiaomi enjoys the same reputation in China that Apple is known for in other parts of the world. If the company is really gearing up for its first ever waterproof smartphone, it will be another massive accomplishment for the brand to expand its influence to international markets. 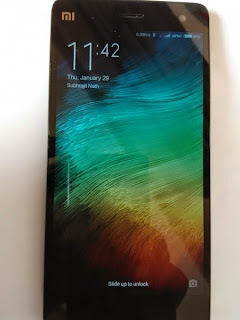 Xiaomi can give tough time to Sony Xperia Z series as well. For it is known for its low prices, a waterproof low price alternative will indeed be welcomed by customers, observes the IBTimes. This is but a speculation. Xiaomi hasn’t given any official statement about such product. 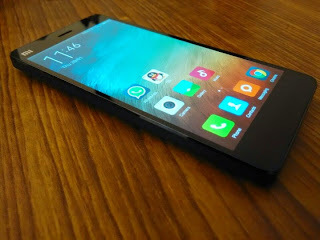 Separately, Xiaomi is likely to roll out the high-end Mi 5 smartphone in coming few days. Or may be weeks. Can Xiaomi launch a a waterproof Xiaomi Mi 5 smartphone? This is perfectly possible. And the beauty of the rumors and speculation is possibility. Xiaomi is currently the 3rd largest smartphone distributor in the world. Privately-owned Chinese company has branched out in designing, selling, application development and consumer electronics. The company has recently become world’s second biggest business in selling wearables.